The City of Beloeil initiative, dubbed “Dans ma rue, on joue” aims to let kids and adults play outside from 7 a.m. to 9 p.m. without getting ticketed by police. To encourage more residents to be physically active, an off-island Montreal suburb wants to designate some streets as play zones. The City of Beloeil initiative, dubbed "Dans ma rue, on joue" (on my street, we play), would allow kids and adults to play in the street from 7 a.m. to 9 p.m. without getting ticketed by police. The play streets would be chosen by residents and must be approved the two-thirds of neighbours. "It's a local street so it's already low traffic and there are very few cars there," Clara Couturier, a policy analyst with the Quebec Weight Coalition that helped the city come up with the idea. They must be at least 9 metres wide. The passage of cars cannot be impeded. They must provide good visibility for drivers, so no blind turns. They must have adequate lighting. It's already drawing interest from other municipalities. Beloeil city councillor Pierre Verret had the idea when he found out playing on the street is illegal in Quebec. A resident had called after getting multiple complaints from neighbours and a fine from police. "I told myself, 'I can't let that happen. It doesn't make sense, since we're always telling young people to go out and play, go get some air,'" Verret said. Beloeil is among the 10 Quebec municipalities with the highest birth rates. Yet, as in most other places, they don't move enough. According to Statistics Canada, 87 per cent of boys and 94 per cent of girls do not get the 60 minutes of physical activity recommended each day. 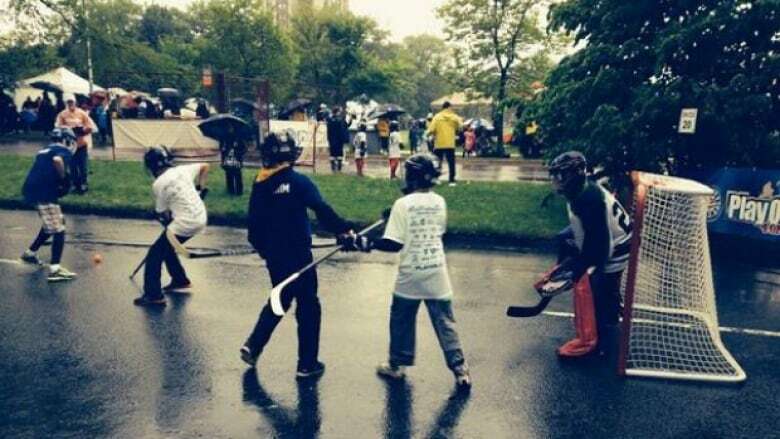 "Everything that makes the community go outside and play, and be physically active is good," Couturier said. "It's a good initiative." Residents have already proposed three streets to get the designation. A decision is expected at the end of May.